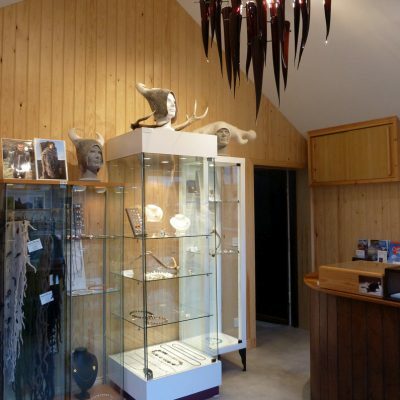 The studio showroom is located in the Old Post Office of Berriedale, on the coast of the Far North Scottish Highlands, about 1 hour south of John ‘O Groats or 1 and 1/2h drive north of Inverness. 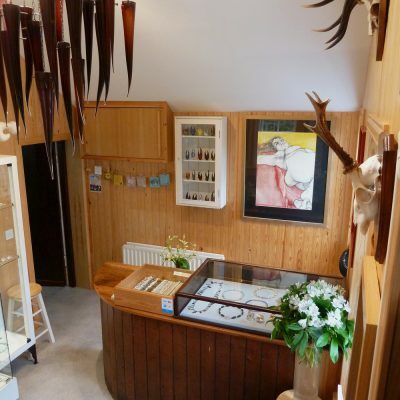 The location of the showroom studio is at the very bottom of the Berriedale Braes on the inland side of the A9. Just turn off following the sign for the public phone and the studio. Car parking is directly in front of the showroom. 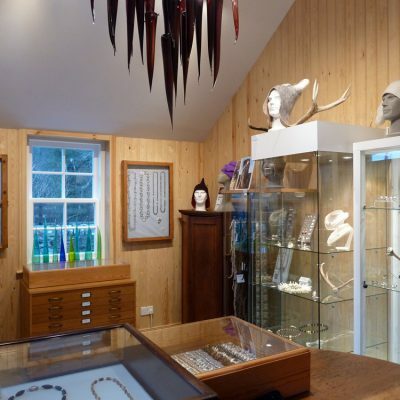 The approach is dramatic, as are the views, with the A9 road winding over and through wooded steep hills either side of the studio. Two rivers flank the historic location. They unite here and flow into the North Sea only a short walk away from the studio. Berriedale beach is also dramatic, with ever-shifting sands, pebbles, rounded bedrock, imposing cliffs and numerous caves. The beach can be reached via a swingbridge over the river, just below the ruins of Berriedale Castle. In spring and summer seabirds can be observed nisting in the cliffs. The studio is normally open for walk-ins six days a week from 10 or 11 am to 5 or 6 pm and often until much later, all through the year. 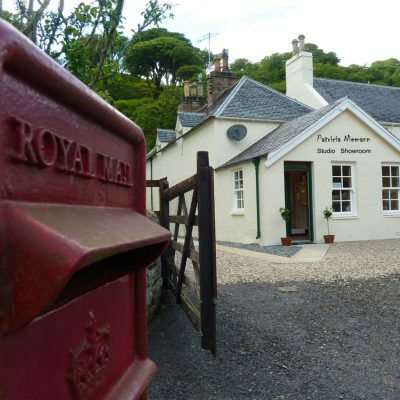 However, since there are no fixed opening hours and this is Patricia’s home as well, please ring or email for an appointment. Such you could make sure she is in, if you are making a special trip. You can try the mobile number, but please be aware that mobile reception is patchy in the Highlands. The studio now has mobile reception for some networks.